Very nice Halloween greetings ! We completely forgot, it's not so much celebrated here ! Happy Halloween Athena & Marie! Cool pic! We love your Spooky Frame. Happy MeowOween!!!!! Very beautiful. Have a Happy Halloween! What a great picture and frame! Happy Halloween! 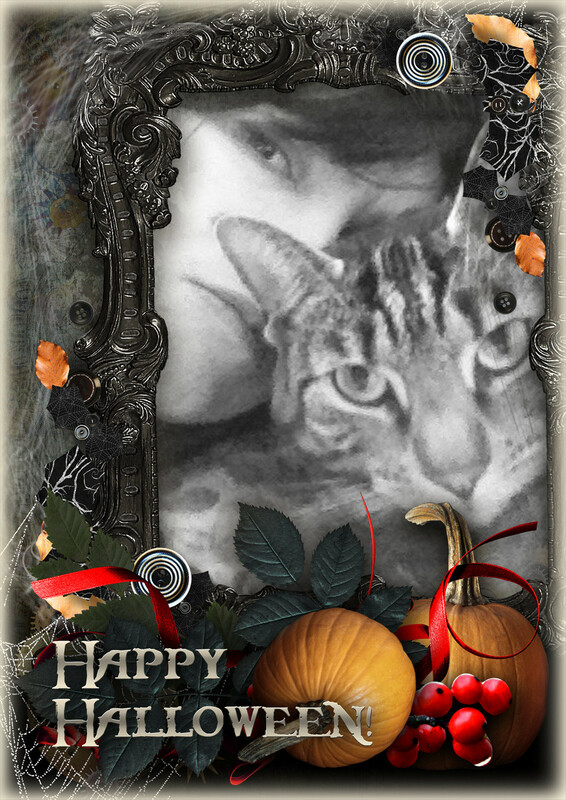 A Happy and Spooktacular Meow-O-Ween from the Zee & Zoey gang! That is a cool piece of art work again. You always do a nice job. Thank you for hosting, and a big thank you for publishing the link. I managed to link up today. it is so much easier now. Nice job on the caturday art. Thank you for the blog hop. Happy Halloween! Your artwork is purfect. You always have such sweet photos with your mom and the coolest frames. Happy Halloween. Great graphic!!! Hope you had a wonderful Halloween!